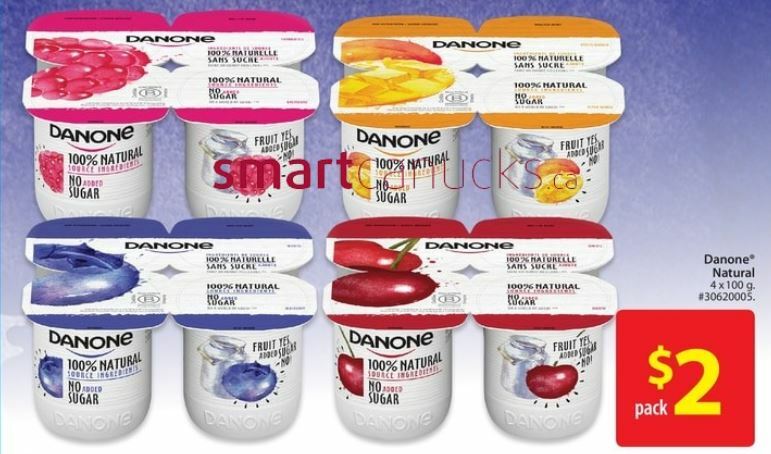 Danone has a new variety of yogurt, and this week at Walmart Canada you can pick it up for an excellent price with a coupon from a booklet you may have picked up recently. Walmart currently has the 4pk of Danone 100% Natural yogurt advertised for $2. There is a coupon in the latest batch of SmartSource tear pad coupons, for $1 off the purchase of either the tub or the 4pk of this new yogurt. Use the coupon and pay just $1 for a package of four. This flyer is valid until March the 13th, so you will have plenty of time to get to the store for this deal. I’m not sure what the regular price is at Walmart, but at Fortinos it was $3.99 for a package of four, so this is a great price with the coupon, especially if you are looking for a natural, no sugar added yogurt. The coupon itself will be found in a plastic holder as it’s part of a booklet, and I also found these at Fortinos, so check your Loblaws banner store.